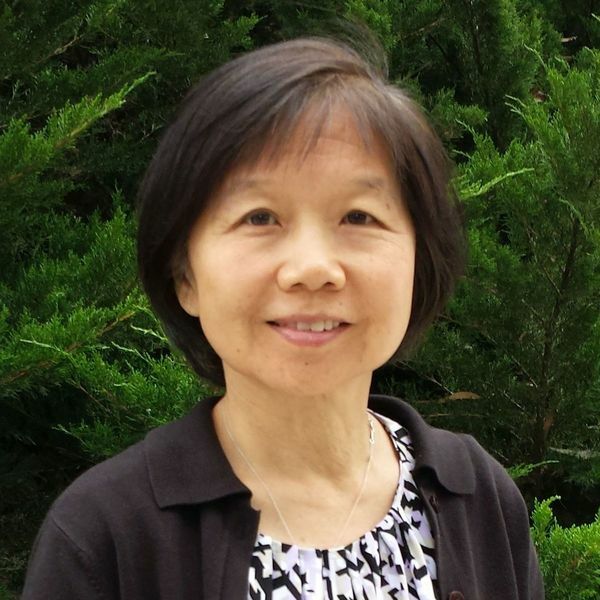 Chiu is a bilingual (Mandarin Chinese/English) licensed psychologist and counselor educator with a longstanding interest in improving mental health care for culturally diverse and underserved populations. She received a Ph.D. in Counseling Psychology from Stanford University and a Ph.D. in History and East Asian Languages from Harvard University. She has over 20 years of experience in direct clinical service delivery and teaching in the U.S. and Asia, including 8 years of clinical practice and online and on-the- ground counselor education and supervision in China (2007-2015). Chiu is responsible for establishing and directing Rosemead’s new global online Certificate in Integrative Counseling program. With a longstanding commitment to investigating the effects of culture on the assessment and treatment of mental disorders, her current research interests focus on cross-cultural adaptations of an integrative approach to Christian counseling and on the development of effective online methods for global counselor education and training. Barlow, D. H., et al. (2013). 情绪障碍跨诊断治疗的统一方案 [Unified protocol for transdiagnostic treatment of emotional disorders: Workbook and therapist guide] (Wang, J.P., Chiu, M.L.,et al., Trans.). Beijing, China: Zhong Guo Qing Gong Publishing Company. (Original work published 2011). Chiu, M. L. (2010). 积极倾听的基本技巧（Basic techniques of active listening）In 心理救援与卫生救护 (Emergency psychological first aid and health support). Red Cross Society of China Sunshine in Your Heart Project and International Federation of Red Cross and Red Crescent Societies. Chiu, M. L. (2010). 危机介入模式（Models of crisis intervention）In 紧急心理救援与卫生救护 (Emergency psychological first aid and health support). Red Cross Society of China Sunshine in Your Heart Project and International Federation of Red Cross and Red Crescent Societies. Chiu, M. L. (1999). Memory training for older adult medical patients in a primary health care setting. In Duffy, M. (Ed. ), Handbook of counseling and psychotherapy with older adults (pp. 614-631). New York: John Wiley & Sons. Chiu, M. L. (1995). The influence of anticipatory fear on foreign student adjustment: An exploratory study. International Journal of Intercultural Relations, 19(1):1-44. Chiu, M.L., Feldman, S.S., & Rosenthal, D. A. (1992). The influence of immigration on parental behavior and adolescent distress in Chinese families residing in two Western nations. Journal of Research on Adolescence, 2 (3): 205-239. Chiu, M.L. (1986). Mind, body, and illness in a Chinese medical tradition. Dissertation Abstracts International, 47:6 , 2293-2294A (University Microfilms No. DA8620563). Chiu, M. L. (1981). Insanity in imperial China: A legal case study. In Kleinman, A. & Lin, T.Y. (Eds. ), Normal and abnormal behavior in Chinese culture (pp. 75-94). Dordrecht, Holland: D. Reidel. Chiu, M.L. (September, 2016). Presentation on the Certificate in Integrative Counseling Program at churches and Christian counseling center in Beijing and Shanghai, China. Chiu, M.L. (July, 2016). Presentation on the Certificate in Integrative Counseling Program. Asia Theological Association Triennial General Assembly. Seoul, Korea. Chiu, M.L. (November, 2013). Presentation at a conference on cross-national mental health education. Shanghai Mental Health Center, Shanghai, China. Chiu, M.L. (September-December, 2009). Series of 13 workshops on Basic counseling skills for pastoral counselors. Beijing, China. Chiu, M.L. (September, 2009). An introduction to cognitive-behavioral therapy (CBT): Basic theory and practice. 3-day workshop to train Chinese counselors in CBT. Beijing, China. Chiu, M.L. (May, 2009). 2-day Disaster Mental Health Services training program for a national symposium of Red Cross Society of China provincial leaders. Beijing, China. Chiu, M.L. (February-March, 2009). Psychological first aid: Providing a helping hand in times of stress. 2-day disaster mental health training program for counselor volunteers sponsored by the Red Cross Society of China Sunshine in Your Heart project. Beijing, China. Chiu, M.L. (July, 2008). How to control stress so stress doesn’t control you. Presentation to company managers and staff at Horton-International. Shanghai, China. Chiu, M.L. (May, 2008). Presentations on Active listening skills, Facing grief, and Suicide crisis management in a 2-day workshop to train volunteers for Sichuan earthquake relief sponsored by the Red Cross Society of China Sunshine in Your Heart project. Beijing, China. Chiu, M.L. (November-October, 2004). Forgetfulness? or early signs of dementia? Presentation to various organizations in the San Francisco Bay area Chinese-American elderly community on behalf of the Stanford/VA Alzheimer’s Center.